An hourly rated wall — rated as high as 3 hours — may be required to separate building areas or occupancy types to meet the International Building Code (IBC) requirement for life safety. Until recently, architects, builders and engineers, usually had to use a rated concrete block wall on a concrete foundation. 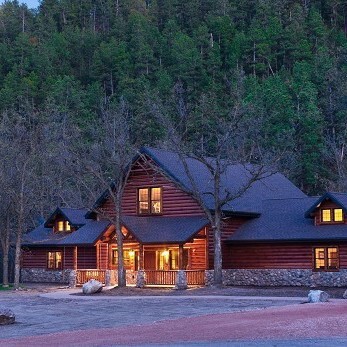 Recently, however, the National Frame Building Association successfully achieved a 3-hour fire rating for a post-frame wall system that can be incorporated into a post-frame building without having to use more expensive non-wood framing systems. The post-frame fire wall assembly is an extremely economical solution; it’s generally faster to erect than other systems like stud wall, light gauge steel or block walls, and doesn’t require an expensive foundation. When a 3-hour wall is deemed necessary to meet the IBC, a post-frame fire wall provides an already economical building system with additional savings. 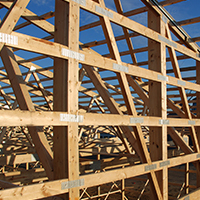 In collaboration with the Natural Resources Conservation Service, the National Frame Building Association (NFBA) has published its Non-Diaphragm Post-Frame Building Design Guide in both electronic and print formats. A diaphragm is an element that distributes structural loads throughout a building. It uses exterior cladding (usually metal in the case of post frame construction) to transfer the load evenly to the structure and into the foundation. With no diaphragm, each element or building frame must transfer the load directly. Non-diaphragm buildings typically have open sides for easy access to, for instance, large agricultural equipment, or salt used on winter roads. Structures in public parks are another example. The new guide provides a comprehensive overview of the structural design process for non-diaphragm post frame buildings. It covers the use of posts, knee braces, metal cables and other elements used to support these buildings. The guide can be purchased online, with favorable pricing for NFBA members. The Diaphragm & Frame Interaction (DAFI) Calculator helps you design buildings that meet load requirements. You enter the number of bays and default values for stiffness and load requirements, and the program calculates specific values for eave load, horizontal displacement, diaphragm stiffness, shear displacement, and shear load. 2. Save the file “DAFI_1_0_0_1.zip” to your computer. 3. Once you locate the file, right click it and extract the zip file. 5. When the installation is complete, the program will launch. 6. Enter default values in the first tab and click on the “Submit” button. Click on the other tabs to view specific values and the results of the frame and diaphragm analysis. * Please note that the DAFI calculator download works best on Internet Explorer and Firefox. If you are using a different browser and experiencing technical difficulty downloading this tool, please try with either Internet Explorer or Firefox. The second edition of the Post-Frame Building Design Manual—the first new edition since 2000—is the ultimate resource for post-frame design. Eight chapters, 200 pages and hundreds of photos, diagrams, illustrations and design tables cover everything you need to know about designing with post frame. The Post-Frame Building Design Manual is a must-have for anyone who works with—or is considering working with—post-frame construction. Prefer a printed copy? Order your copy now. NFBA members receive free technical, legal and safety advice as a member benefit. Email your technical questions to info@nfba.org. 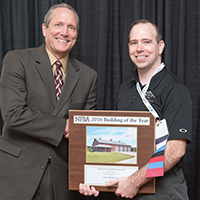 State that you are an NFBA member and that you have a question for NFBA's technical experts on post-frame construction. 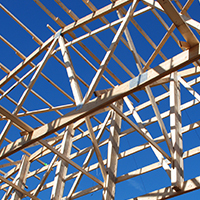 How Does the International Building Code (IBC) Impact Post Frame? For general questions about the IBC, one should contact the International Code Council (www.iccsafe.org). 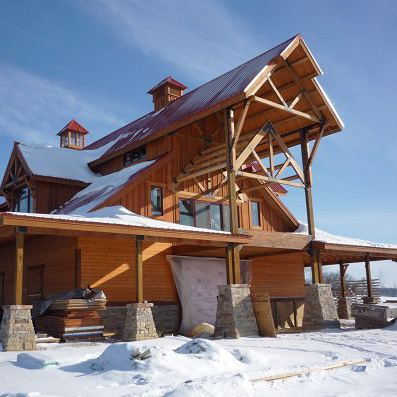 For more detailed answers to questions about the IBC and how to design and engineer post-frame buildings, you may submit your inquiry in the Contact Us section of this website. The NFBA Team will help you obtain the right information from the right source. 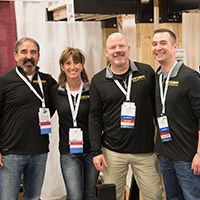 Building professionals may also attend the annual Frame Building Expo, a convention and trade show hosted by the National Frame Building Association. 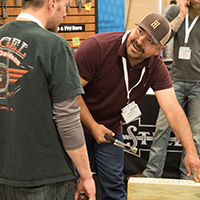 The Expo holds hours and hours of education designed with builders and designers in mind. Classes and workshops include diaphragm design, life-cycle analysis for post frame, construction safety, and building code basics.